This CV is a testbed for ideas arising from my investigation of Trigonal Boards. 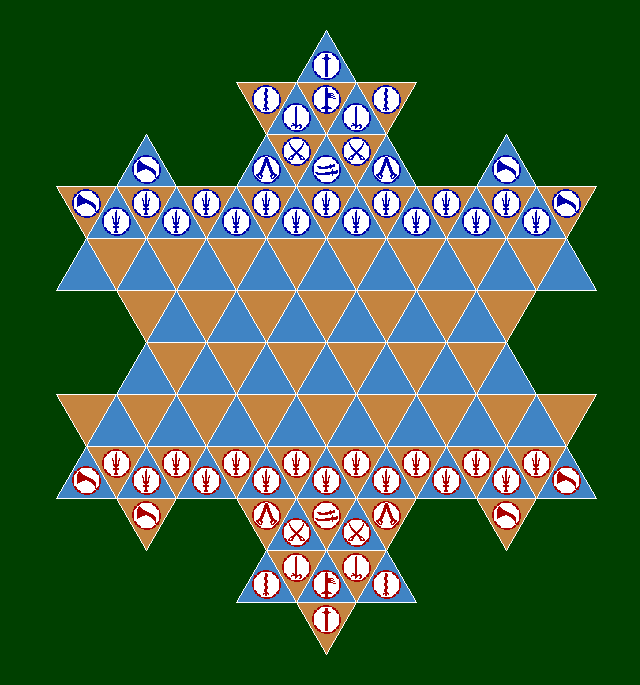 The board consists of 120 trigons giving it a size category of 4 (Large). Its overall shape mirrors the third iteration of the Koch curve or snowflake. There are two sides, Red and Blue, with Red moving first.